Old Teton County Jail, Jackson, Wyoming. 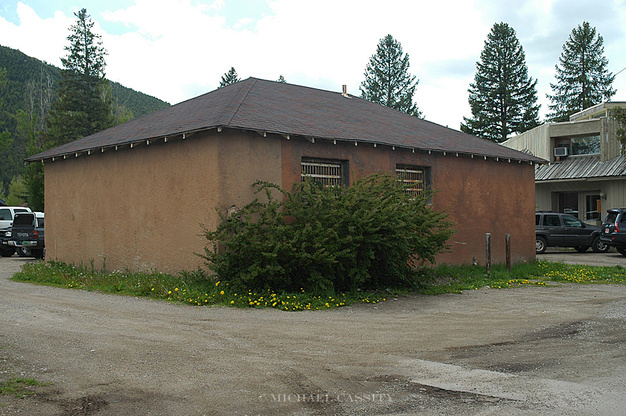 This survey of buildings and structures around Teton County was the third such survey in Teton County. Each was an effort to provide an inventory of properties that possessed some historic values so that further actions, even just to increase public awareness, could be taken. 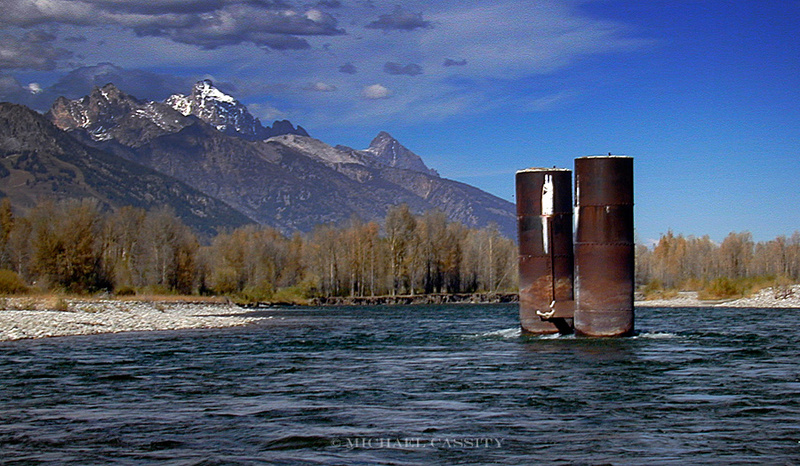 The historic resources in Teton County are disappearing at a disturbing rate. Even in the period of under a decade since this survey was made, a number of them no longer exist, or, if they exist, have been altered beyond recognition. Some have been moved away to other locations in an effort to save them, even though that takes them out of their historic setting. The following is taken from the report of the survey I submitted. The full report is located in the Jackson Hole Historical Society's collections. A survey of historic properties can provide important information in two ways. One way is simply to gather information about specific places—buildings, bridges, roads, and other structures—that reveal something of the past around us. The premise here is simple: The world is not entirely of our own making for we are the inheritors of a past constructed by previous generations and that past is evident in our culture, our economy, our social structure, and our values. Often the built environment where we live conveys specific parts of that legacy to us as reminders of where we came from. A survey of historic properties helps identify those remnants from the past and help focus our attention on what they tell us about the past. They also tell us about ourselves, by giving us a sense of place, a deeper understanding of the character of the community, and even a sense of identity. What we are really looking at, in other words, when we look at the relics of the past around us, are bridges in time, connections to the past that help us get our bearings from where we have been so that we can better understand where we are and where we are headed. The survey helps us identify these bridges to the past and also lets us know what parts of the past they connect us to. Another, equally important, use of a survey is to assess historic properties to determine their eligibility for the National Register of Historic Places. The National Register is a powerful tool for focusing the historical attention of the nation on the physical remnants of the past around us. And this has been important locally too. 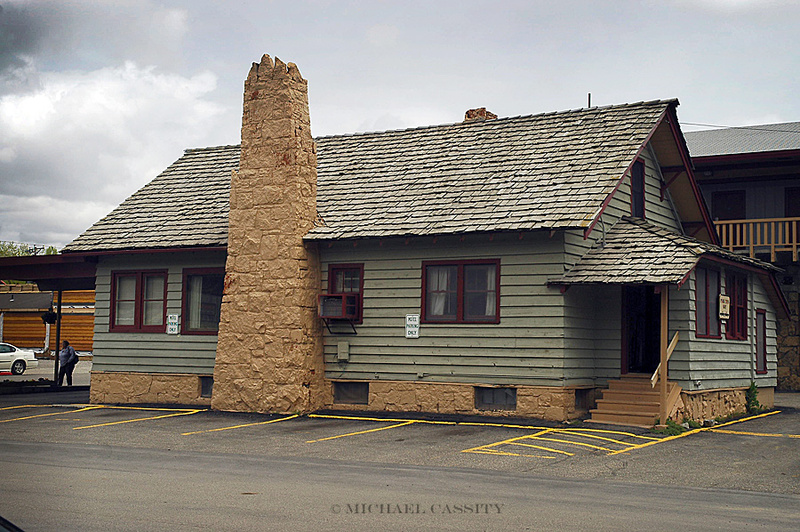 Aside from the impressive features in Grand Teton National Park listed in the National Register, and some other buildings in Teton County already listed, the recent addition of the American Legion building, the Town Square, the Huff Memorial Library, the Snake River Ranch, the Flat Creek Ranch has brought recognition throughout the community to features of the past that have been too often overlooked. In the nomination process we have been able to learn more about the role of each of these places in the county’s history and we are now better able to preserve those places because of the recognition given to them and the history they represent. Hopefully the current survey will help some properties move closer to being nominated, but even for those that are not nominated and are not listed, that does not mean that they are not significant. The requirements for eligibility for the National Register are specific and the threshold is high, so there are many places that are not technically eligible for the National Register but that still hold important historic values. This survey has attempted to learn from properties that are eligible and that are not eligible alike, and it has also evaluated them to determine which ones are eligible. To be eligible for the National Register properties must possess historical significance and integrity. This can be determined by considering the following elements. 1. Generally a property needs to be at least 50 years old. This is not a hard and fast rule, and there are exceptions, but those exceptions need to be presented as such and a strong case has to be made for their exceptional significance. Unless there are compelling reasons to focus on the history of a building or structure in the last 50 years, the period of significance needs to terminate 50 years ago. In the current survey, most properties will use a cutoff date of 1955. For those that were just built in 1954 or 1955 that means that the period of significance is only a year or two, but that brief period is not an issue. 2. The property must have integrity. National Register Bulletin #16A defines integrity as “authenticity of a property’s historic identity, evidenced by the survival of physical characteristics that existed during the property’s historic or prehistoric period.” The specific characteristics that are examined are: integrity of structure, materials, workmanship, location, appearance, feeling, and association. A reconstruction of a building, obviously, does not qualify. It’s got to be original. Also, to change a building substantially, to move it around, to replace original materials with nonhistoric materials, or otherwise change the way it looks so that someone who had used it during the period of historic significance would have trouble recognizing it would deprive the building of the integrity necessary for listing. D. Have yielded or may be likely to yield, information important in prehistory or history. What do these criteria mean in practice? Criterion A has to do with the historic significance of a property. It can be the place where something of significance happened, but it doesn’t have to be something of national significance. In fact, a property can be significant at the local level, and it can even be something out of the daily lives of the people in the community; for example, if it was part of a pattern of settlement, if the building was part of a pattern of social change, or if it contributed to a transformation of the economy, then it could be eligible. Many of the properties included in this survey will be eligible under Criterion A.
Criterion B obviously requires the case to be made for a particular place’s association with a significant person. This actually is one of the more difficult criteria to meet since not every place associated with a person is eligible and the place has to be associated with the activities that made that person significant. This criterion is used sparingly, but on occasion it is appropriate. Criterion C usually has to do with the architectural or engineering significance of a building or structure. A feature constructed or designed by a master builder, for example, would qualify, or a building that is representative of a specific building type that marks it as historical would qualify. Criterion D is straightforward enough, but it is usually reserved for archeological sites. In this survey the list of properties selected is by no means exhaustive. This is, once again, a sampling, not a complete list. There are more properties out there that still need to be examined and that need to be preserved. What I have attempted to do is to examine a variety of properties including some that may not have been eligible in previous surveys because of the 50-year threshold for eligibility and thereby to bring forward in time the kinds of properties included. 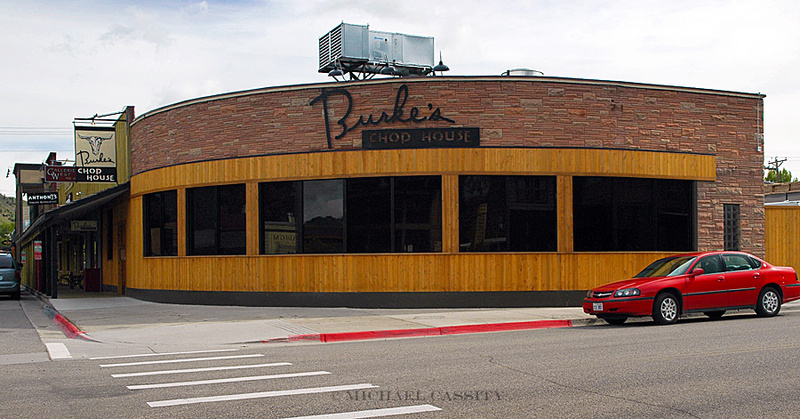 One particular group of properties that this could include would be those associated with the lodging industry in post-World War II Jackson Hole. The lodging industry is of paramount importance in understanding Jackson and Teton County and as one starts to examine the activity in Teton County after the war, much of it reflected and contributed to the transformation of the economy and a shift in social patterns. I have tried to be inclusive in this because the lodging industry itself was so varied. The properties represent a range of tourist courts, auto camps, lodges, motor courts, and others; some were very small and others substantially larger. Even so, these motels and tourist courts represent slightly over a third of the properties surveyed. The majority of the properties surveyed are outside the motel business and include historic barns, bridges, homes, businesses, one cemetery, at least one ranch, and the old courthouse and jail. 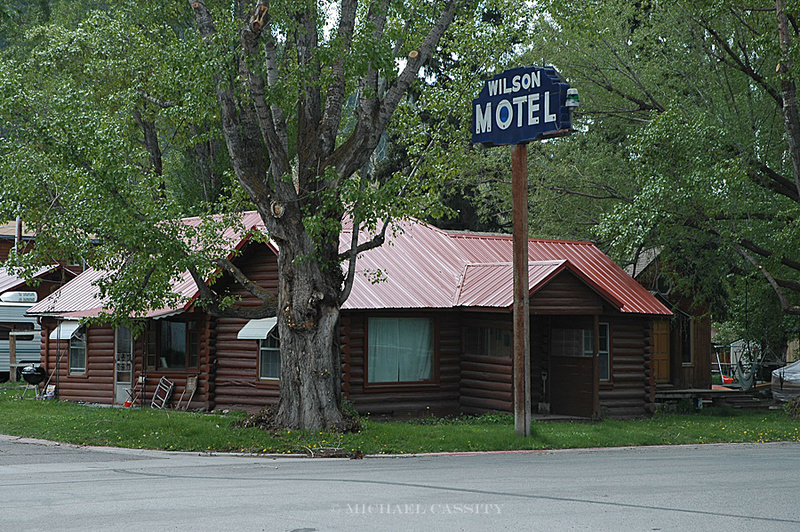 Most are in the town of Jackson, since that is where much of the development in the decade or so after World War II was most dramatic, but I have also included properties in the Wilson area, near Teton Village, near Moran, and at Johnny Counts Flats below Hoback Junction. Documentation for these properties is often elusive. The Sanborn Fire Insurance Company maps that identify buildings and their physical changes and uses in urban areas that are such a help to researchers elsewhere are not available for Teton County. Likewise, the city directories that prove helpful in other cities in chasing down a business or a family also were not compiled for Teton County’s communities. These resource deficiencies are both indications of the largely rural past of the county, but they force the researcher to draw upon other materials more, like the legal documents in the County Clerk’s office, and also to scour local newspapers for clues about properties and to examine the buildings closely for hints about origins and changes and uses that might be evident on the site. They also make some of the conclusions more tentative than might sometimes be desired, and there is always room for revision and addition to the record presented in these survey documents. In this survey I have been mindful of both purposes of the survey—to gather information about places important in the history of Teton County, and also to determine what properties might be eligible for the National Register. In both efforts I have endeavored to follow three principles that have also guided my efforts as a professional historian throughout my career. One is the notion that everybody is somebody. By this I mean that our history includes all kinds of people and I wish to be as inclusive as I can, so that I am not limiting the focus to a particular group of people and excluding others, no matter their gender, wealth, or position, no matter if they were winners or losers in the challenges of life. The second is the idea that every place is someplace. This may sound odd or even nonsensical, but it is my own antidote to the view often expressed, wherever we are, that history happened elsewhere, that the important things happened some other place and involved other people. Or, as Jon Kabat-Zinn expressed it in the title of his book on meditation, Wherever You Go, There You Are. And the third principle follows from that: Every place has a story. I have tried to find the story of each of these places that I surveyed. I also know that they often have more than one story, and that finding new sources for the history of a place can reshape the story substantially. 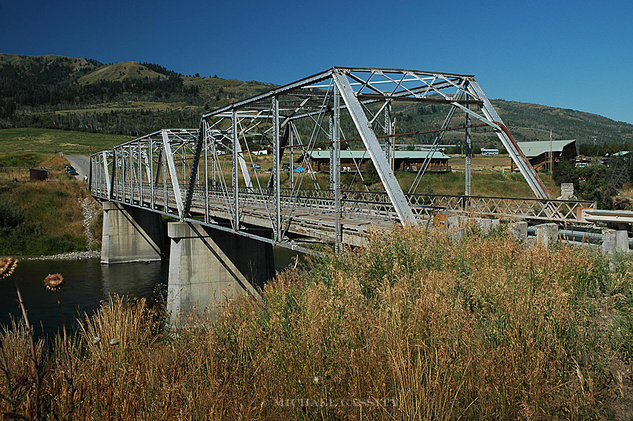 The point is that when we find the stories of these places and document them, we will have actually crossed these bridges in time, these bridges to and from an earlier time in the making of modern Teton County. Some survey forms are available by clicking on the name of the resource. Note that some names are underlined and are live links. Others will be added in the future if and when time permits. Red Rock Lodge / Cedar Lodge, Jackson.